Debebe Shaweno has Master of Public Health in Epidemiology. 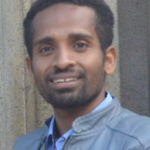 Debebe is originally from Ethiopia working as a faculty member in the school of Public Health, Hawassa University, Ethiopia. He is interested in integrating spatio-temporal TB models with mathematical models of TB transmission.